Earlier in the year, Dervock Presbyterian Church hosted a Landmarks project under the eye of Artist Facilitator Carole Kane. They made three banners show the sights, key locations and local narrative of their village. 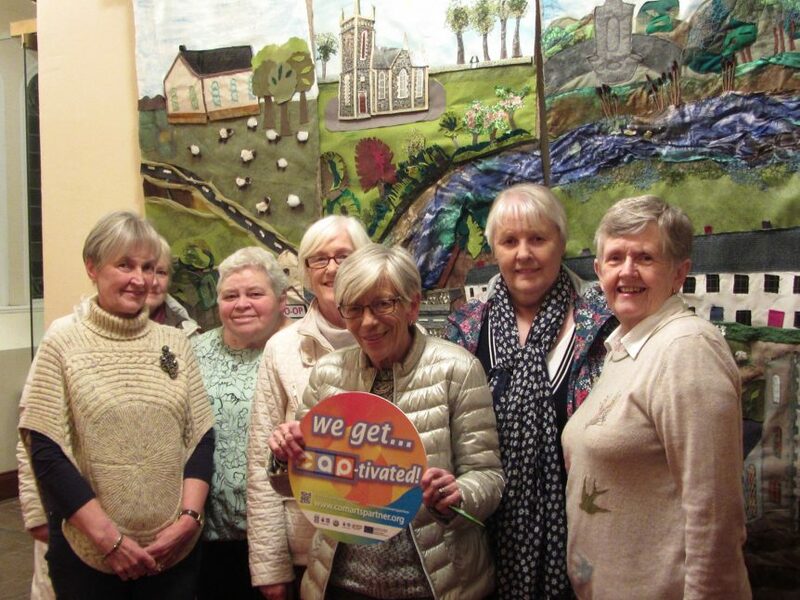 Although the ladies completed their banners a few months ago, their work has been shown to the public on a few occasions and is now being displayed in the Presbyterian Church. The banners have attracted quite a bit of attention and the ladies are, rightly so, very proud of their work. These photographs have been taken in a narrow hallway and show some of the ladies who live in Dervock. The work is definitely worth seeing, if you are in the area.